MTR® AutoFill Rehab Scheduling decreases time spent scheduling, reduces errors and missed appointments, and protects your reimbursements. Transform the scheduling process from a tedious chore to a push button experience that ensures every patient receives the required and appropriate therapy every day. AutoFill Technology reduces scheduling time from hours to minutes. MTR® Rehab Scheduling saves hours of time otherwise spent scheduling, every day. Clear color-coding highlights ADLs and regular therapies, group therapies, patients’ other appointments, meals, breaks, and staff's scheduled conflicts. It also indicates whether a patient's schedule is meeting legal requirements. Patients are kept with their preferred therapists and scheduled according to their individual needs. Changes throughout the process are as simple and quick as point and click. Enable caregivers to spend more time with patients. Each patient is assured that their required therapies are scheduled based on their individual needs. Other appointments, requirements, meal times and rest breaks are automatically included in their schedule. Therapists spend more time with patients and less time scheduling and rescheduling. If an appointment is changed or missed the updates are displayed immediately. 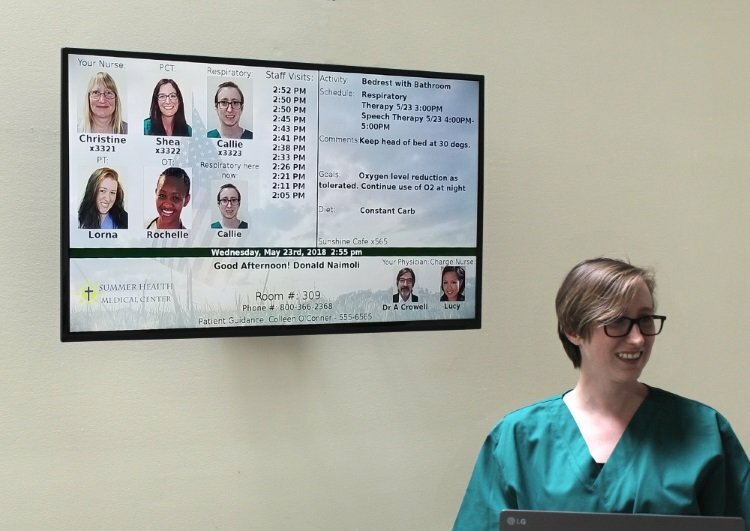 Gym boards, therapist workstations, patient room boards, and nurse station views are updated immediately, notifying the whole team of any change. 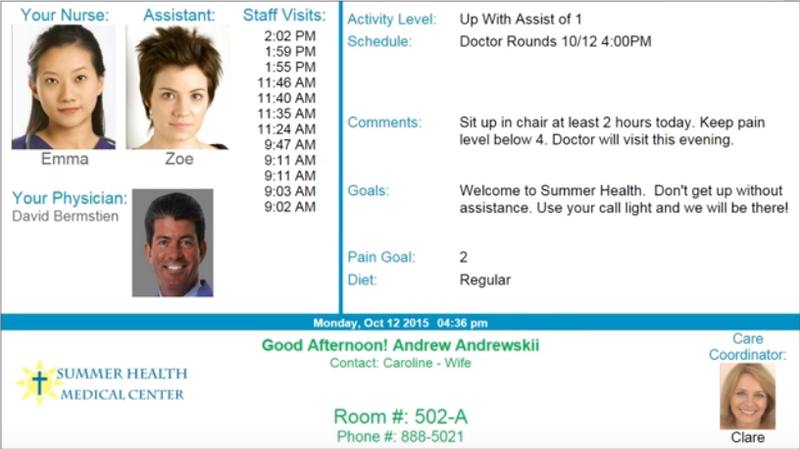 Patients, families, and caregivers feel confident knowing their schedules. 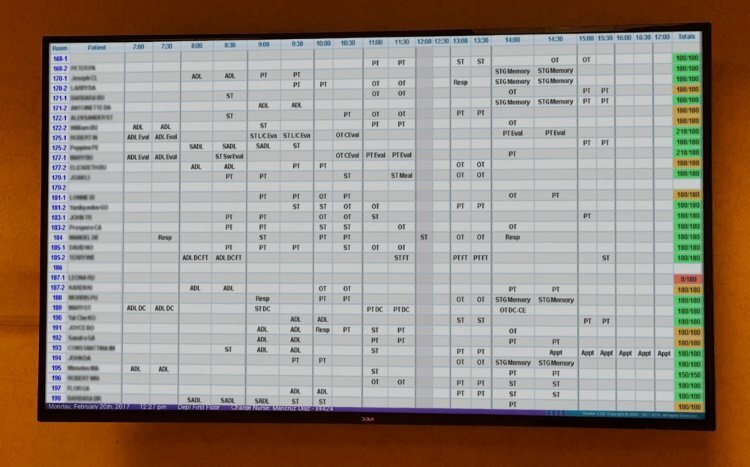 Patients see their therapy types and times for the day each day. 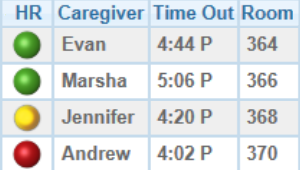 Additional appointments are also visible so patient families can easily identify where they are and when they will return. 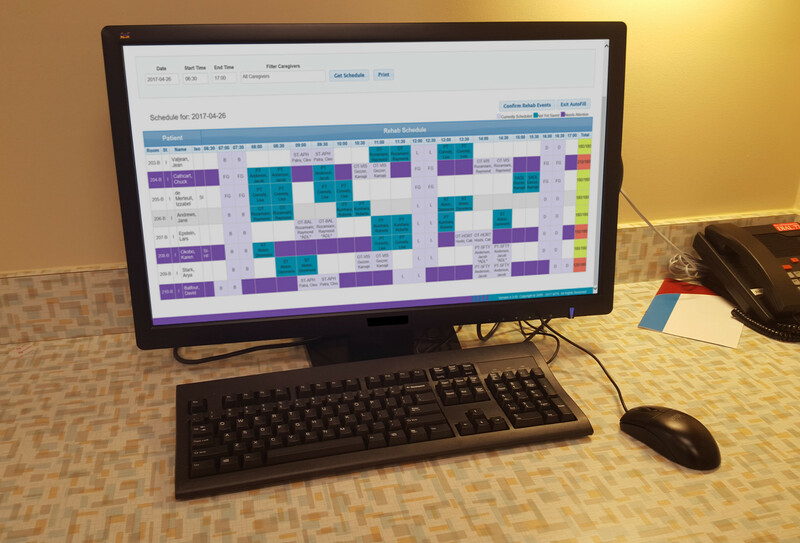 If an appointment is cancelled, the MTR® Rehab Scheduling module notifies personnel of the change and the required therapy still needed to ensure all therapy requirements are met. When the missed therapy is scheduled, the patient and all personnel are informed with visual cues.